Happy Kitchen Sink Stamps Monday! Inspired by this weeks Mojo Monday Sketch, I used Kitchen Sink Stamps Multi Step Sunflowers and Ready 4 Any Holiday stamp sets along with papers from Authentique. Gorgeous flower! You created a lovely card! 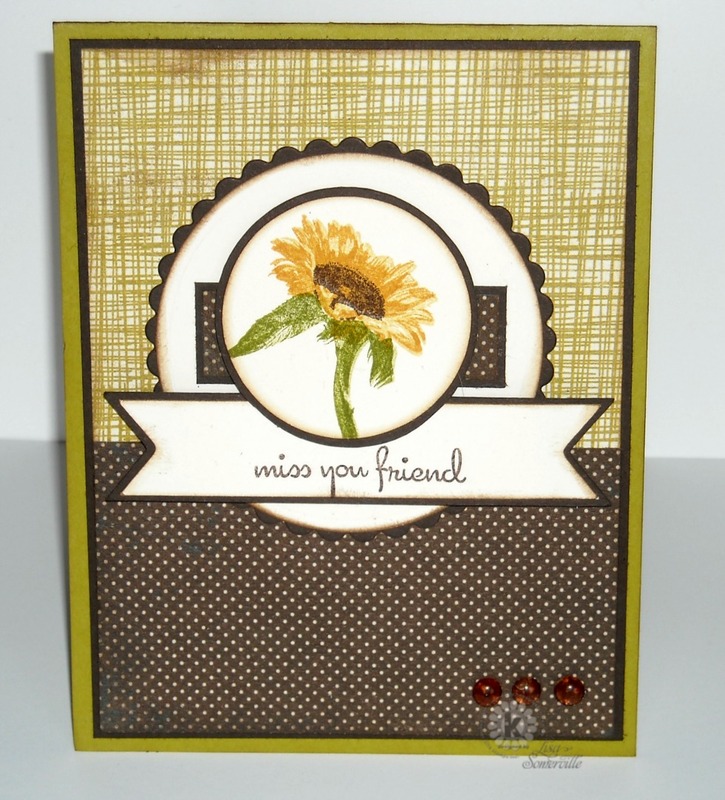 very pretty, love the sunflower and the papers you paired it with. Beautiful! Great layout and you sure know how to use it. You made a very pretty card! Great job! LOVE this sweet sunflower card! So glad to see your creation in the mojo gallery!